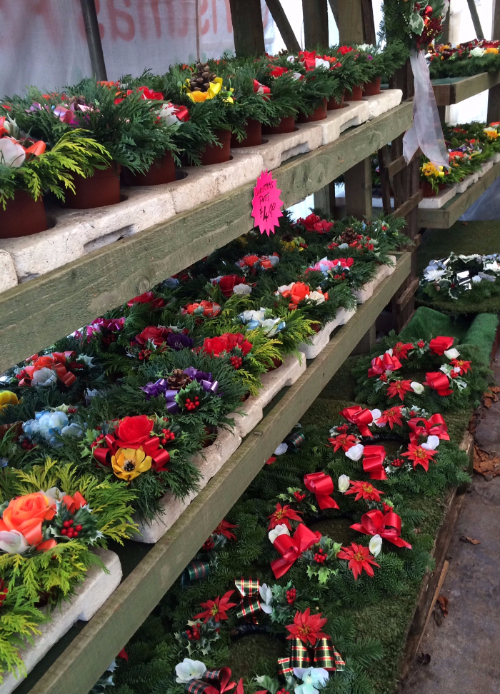 Find your perfect Christmas tree at Alder Lane Nurseries! For Christmas, we have a great selection of real trees (Scots Pine, Norway Spruce, Fraser, and Nordmann Fir) at competitive prices! We offer local evening delivery (Hindley, Westhoughton, Leigh, Wigan, Bolton) for just £5, and will collect it again after Christmas for an additional £2 - date likely to be the 6th/7th of January. Please note that these are just examples of what our wreaths can look like - they are all unique! We cover Hindley, Bolton, Westhoughton, Aspull, Wigan, Leigh, Atherton, Tyldesley and Lowton.